There’s no better time to join my team! 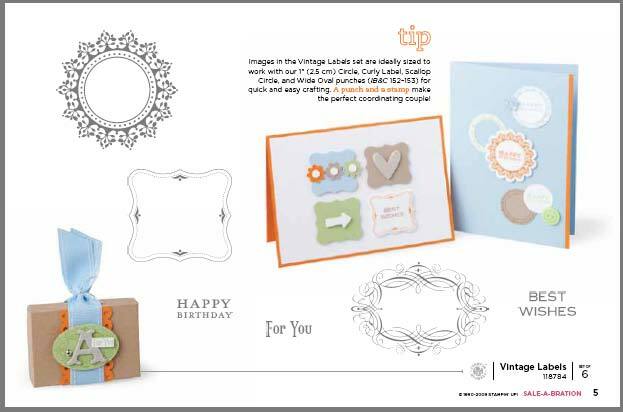 The most exciting promotion on the Stampin’ Up! calendar begins today! 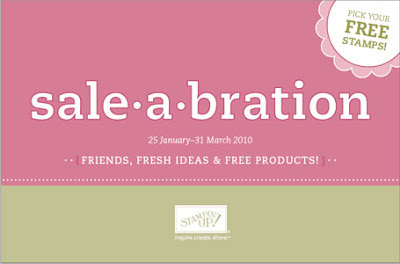 That’s right Sale-a-bration begins from this very day. 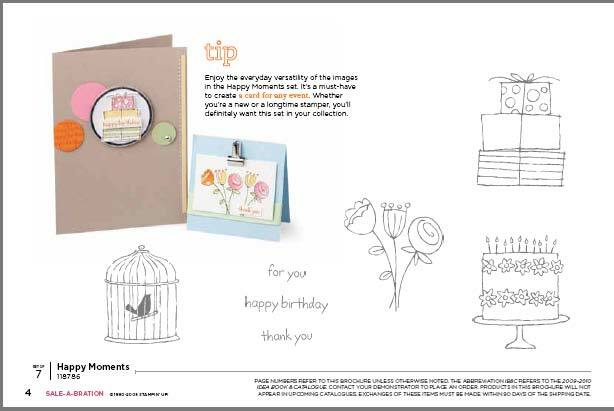 During Sale-a-bration customers can choose one FREE SAB stamp set for EVERY $100 spent. 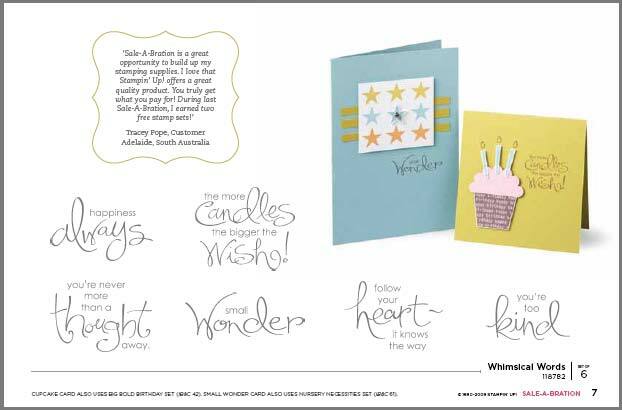 Hostesses are able to choose a FREE SAB stamp set once sales reach $600. These specials are only available until the 31st March 2010. 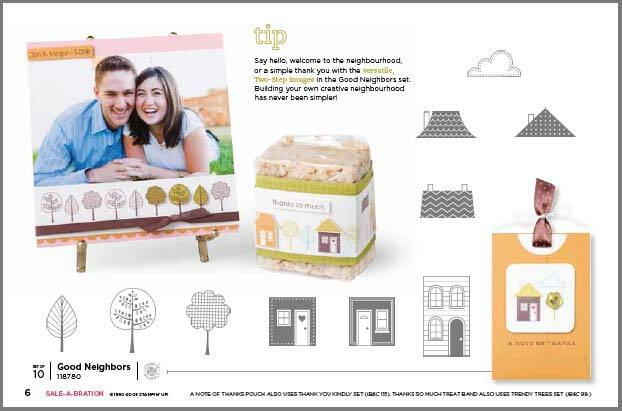 Contact me today to place your order or arrange a convenient time to discuss how you can begin your very own business, and have lots of fun as well. Check out the designs below and contact me to place your order.